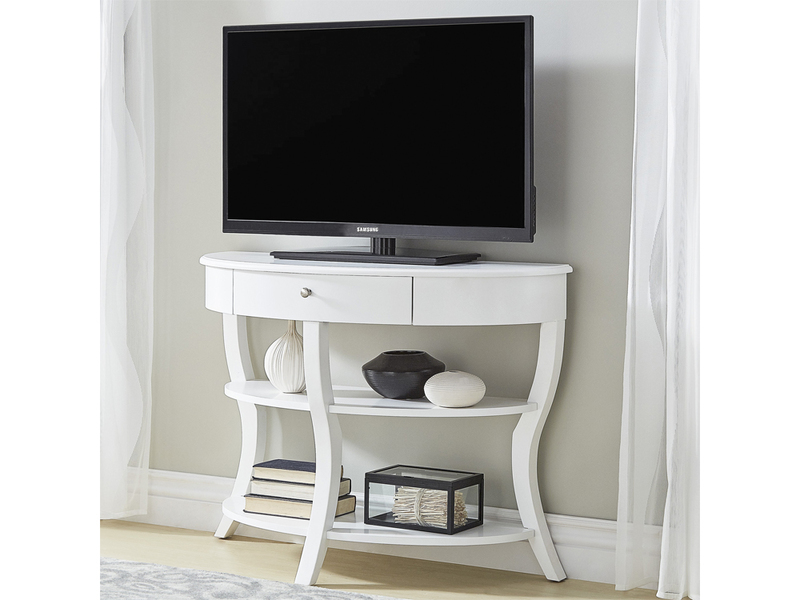 The Drummond Console Table is a half circle, pure line, white wood finish, multi functional console table. 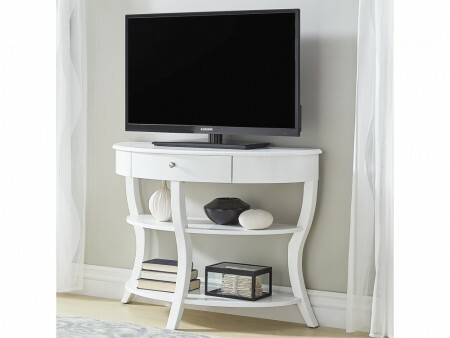 Used as a hallway centerpiece with a table lamp or tv stand, the Drummond is an elegant option. 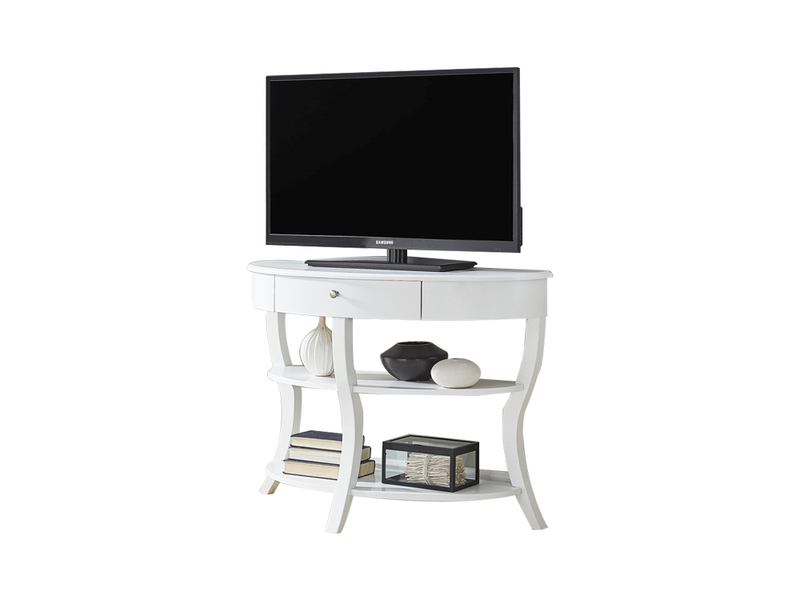 The console has two shelves for storing books or devices and one drawer with metal hardware. 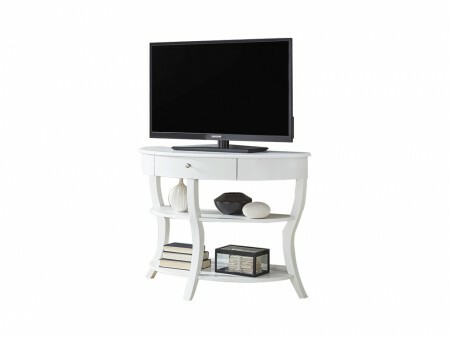 It is featured in our Caffery Living Room package.